Whether youâ��re a business or leisure traveler, a student pursuing education abroad or simply remitting money for personal or trade purposes, we offer prompt and accurate solutions.  At Travel Zone, we are offering foreign exchange services allowing you to experience utmost convenience and service excellence for your forex needs. You can count on us for currency notes, travelersâ�� cheque, travel cards, etc. Owing to our associations with prominent personalities of the travel world, we are capable to serve travelers across the country and abroad. We are based in Siliguri (West Bengal, India) and can be reached anytime for getting professional assistance.